Many people have written to me looking for the lyrics to El señor don Gato. Here are the original Spanish lyrics, followed by an English translation. “siete vidas tiene un gato”. Asking if he wants to get married. Niece of a brown cat. He fell down from the roof. His spine and his tail. “A cat has seven lives”. There’s another English version of Senor don Gato that’s different from the direct translation. I’ll post that version next. 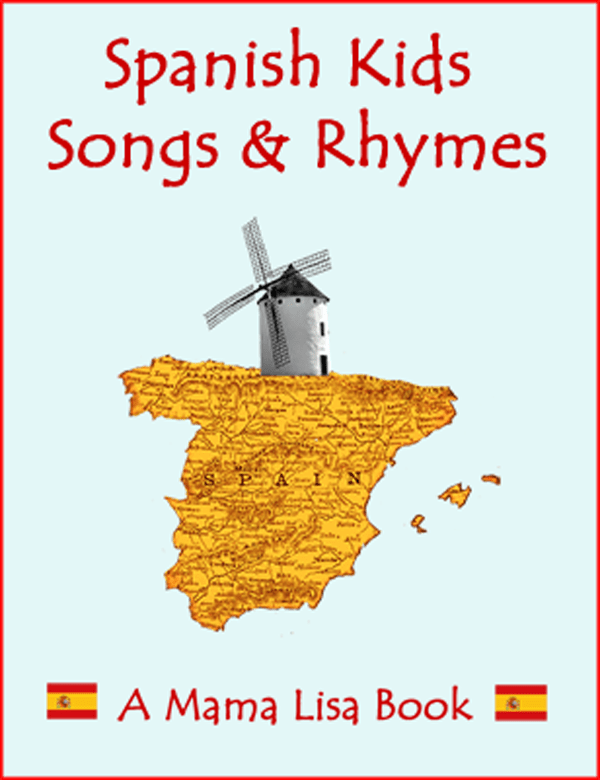 Come visit the Mama Lisa’s World Spain Page for more Spanish Songs with their English translations and the Mama Lisa’s World en français Espagne page for Spanish songs with their French translations. This article was posted on Sunday, June 11th, 2006 at 1:35 pm	and is filed under Children's Songs, Countries & Cultures, El señor don Gato, El señor don Gato, English, Folk Songs, Languages, Senor Don Gato, Spain, Spanish, Spanish Folk Songs, Spanish Kids Songs. You can follow any responses to this entry through the RSS 2.0 feed. You can leave a response, or trackback from your own site. Hi Lisa I’m looking for some simple German Sings suitable for children aged 3 to 5, I was wondering if you coul help me? I am particularly looking for the words to “Hanschen Klein ging alein in die weite weld hinein” etc. Thanking you in advance if you can help me out. I need 26 copies of senor don gato by January 3rd! Thank you! I was searching for this songs lyrics for a while until I found it here. Wasn’t even expeting the english translation, it was a great bonus! Nel cortil, di peso, ohimé. Don Carlos, quel gran barbier. Si dian subito al malato. Oh, Senor Don Gato was a cat. T’was a love note for Don Gato. He fell off the roof and broke his knee. “Aye Carumba!” cried Don Gato. How to save Senor Don Gato! Such a smell of fish was in the air! ((Triumphantly)) He came back. To life! Don Gato!! Meow Meow Meow Meow Meow! !